We are one of the most selective law schools in the nation. Of the more than 7,000 prospective J.D. students who apply annually, Berkeley Law enrolls about 270. In choosing our students, we don’t stop at brilliance. We drill down for equally important qualities, including respect for others, maturity, and purpose. LAS VEGAS — Two men who say they’re Berkeley, Calif., law school students have been arrested after police say they killed and decapitated an exotic bird that was part of a Las Vegas resort attraction. I guess to be fair, Berkeley didn't say it drills down to find respect for birds. If you are a helmeted guineafowl or someone who loves them, you are probably already upset about the report that two students at the UC Berkeley School of Law were arrested last Friday and charged with the bird murder described above. The decedent was said to have been part of the Flamingo's Wildlife Habitat, "a garden area with ponds and streams that houses many types of birds" and that is probably almost certainly off-limits to people who have probably almost certainly been drinking. Authorities say surveillance video captured the men chasing the bird into some trees. Witnesses say the two emerged carrying the body and severed bird head. So let's not rush to judgment here. All we know for sure is that they are on video chasing a bird into some trees, and then emerged carrying bird parts. It could be that the defendants were trying to herd a stray guineafowl back into the habitat, and then happened upon a different and previously deceased bird and simply wanted to give it a proper and respectful burial. I don't think we can rule that out at this point. 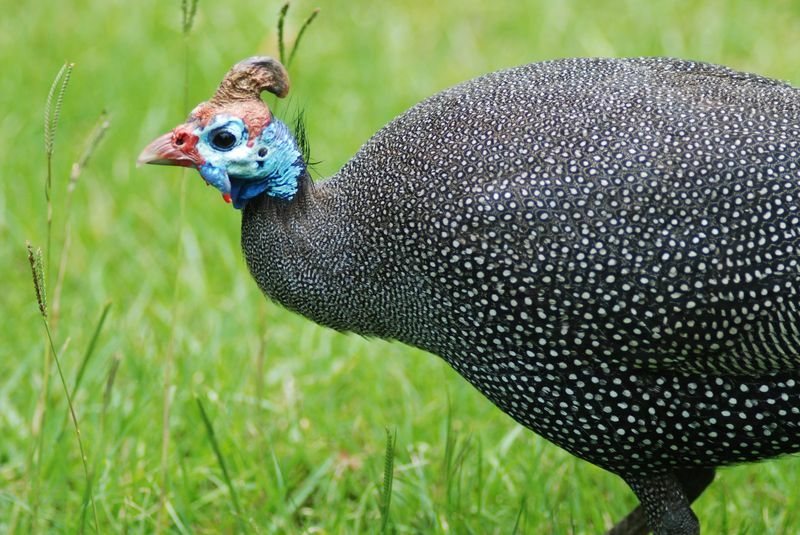 Police say the two men were seen Friday laughing and throwing around the body of a dead, 14-year-old helmeted guineafowl. Police said the men claimed to be law students at UC Berkeley (it doesn't stop at brilliance!) and had student ID cards to back that up. I'd like to think they said this while making some sort of ridiculous constitutional argument as to why they could not be detained under the circumstances, but probably they were just identifying themselves. Are they actually UC Berkeley law students? Well, at least one of them (same name, and it doesn't look that common) did come up in a search on UC Berkeley's website. According to the document I found, that particular gentleman was a 2L last year, which (presumably) would make him a 3L now. Interestingly, the document also states that he worked last summer for the Environment and Natural Resources Division of the U.S. Department of Justice. Well, I guess part of being a lawyer is that you don't have to love what you represent. Though typically you don't tear its head off and play catch with its corpse. See also "Lawyer Says Client Is Remorseful Over Duck Beheading," Lowering the Bar (Oct. 18, 2007) (involving an untimely death at the Embassy Suites in St. Paul, Minnesota). Update: Additional (if mostly anonymous hearsay) facts about the Vegas incident at Above the Law.